“We could say that everything started when a part of the company’s industrial team engaged in a project with Peoplerise. We had the distinct feeling that the priorities of our organization needed redirecting. In the end, we didn’t only redefine our strategies. We also learned how to relate with collaborators outside the company and work on the ecosystem. This is why we decided on an idea after the activity with Peoplerise had been completed. It seemed crazy at first but the idea was to create an Innovation Lab”. These are the words of Michele Campione, Head of EMEA Talent Management at Electrolux, spoken during the presentation of the Electrolux Innovation Factory – a collaborative and thought-provoking area that focuses on innovation with external partners. Michele continues by stating that “…during the course with Peoplerise, we learned how important it is to become open to what’s out there and work through co-creation. In order to innovate successfully, you need to be aware of the fact that relying exclusively on internal resources is not enough – even if you’re already a large-scale multinational corporation. Relating to the ecosystem is fundamental; which is why we have decided to create this area and host start-up companies that have impressive business plans involving aspects of digital technology that are essential to us”. The Electrolux Innovation Factory was created in a renovated building within the production site at Porcia (Province of Pordenone) for the purpose of offering an area that facilitates affinities amongst suppliers, customers, business incubators, start-up companies, universities, small and medium sized enterprises and other business partners. A “shared” laboratory where people can work together. Peoplerise associate Flavio Fabiani points out: “The entire process of innovation yields better results if managed in an open-minded manner. But this calls for a thorough change in the way people act and perceive their roles and intellectual properties. This is the only way we have to bring about areas in which everything is carried out in a less standardized way. In the long run, it is much more effective. 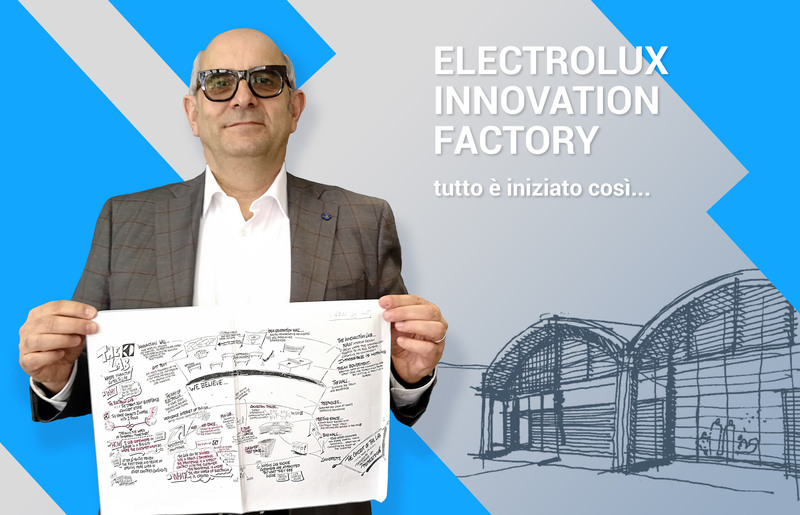 Electrolux is a model of reference in Open Innovation in Italy and the Innovation Factory at Porcia is part of a broader process. More specifically, it is based upon receptivity towards challenges, network development and a shift in mindset”. As of May, Electrolux is launching its first Call for Innovation through the www.innovationfactory.digital website. The goal is to pinpoint which of the world’s best start-up companies are interested in a co-creation experience and in being hosted at the Electrolux Innovation Factory. Peoplerise’s Jake Esman adds, “The process we shared began by considering how essential it is to involve everyone taking part in the developmental process of a product. The intention of Peoplerise was to offer the incentive to create a place in which the main players of the production chain could connect with final consumers. It is very gratifying to see how much this project has matured”.